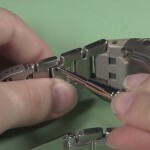 Many types of watch bands are held in place with spring bars. 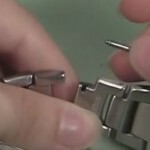 If you need spring bars to attach a new band to your watch, you can use this guide to learn how to measure a spring bar to order replacements. Take your old spring bar and lay it flat on your work surface so you can easily access it. 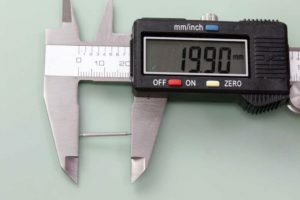 Start by measuring the length of the spring bar. 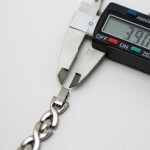 Take your digital gauge and open the jaws wider than the band itself. 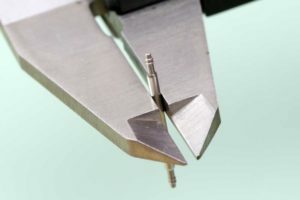 Then pick the spring bar up and position it between the jaws of your gauge, like this. Carefully close them until they grip the spring bar securely and push the tips of the spring bar closed. Repeat this measurement a second time to double check your results. 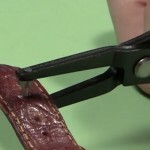 This will give you the closed length of your spring bar. 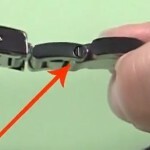 Turn the spring bar over on its side so that you can measure the diameter of the pin. Open the jaws of your gauge wider than the pin again, and position the spring bar in between the jaws so that you are measuring the middle thickness of the spring bar. Close the jaws until they grip the friction spring bar snugly. This will give you the diameter of the pin. Repeat this measurement to verify your results.